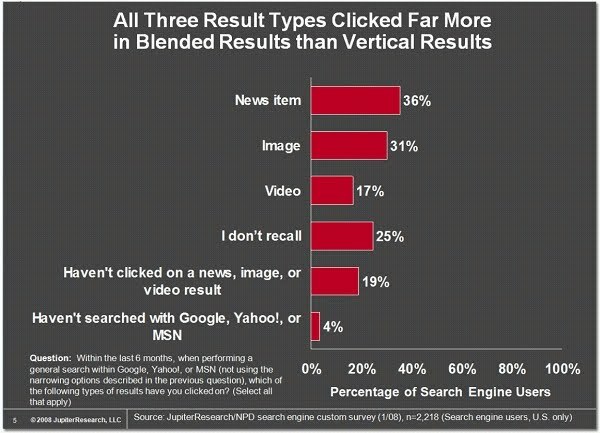 OntrackBlog.com: SEO Video - what is blended search? Did you know videos, properly submitted to search engines, are 53 times more likely to generate a first page Google ranking than traditional SEO techniques, according to a recent study by Forrester Research. However, many companies are ignoring video SEO altogether, only submitting the pages on which videos reside and not the videos themselves, or worst of all, submitting their video assets to YouTube under the misunderstanding that this will generate SEO benefits. If you're not optimizing your videos, you should start. 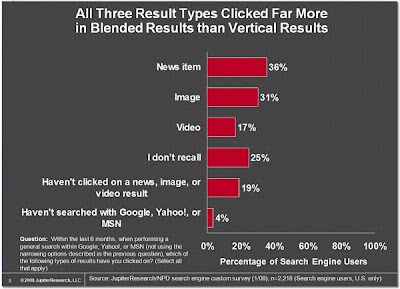 "Blended search," the practice in which search engines display videos, images, news stories, maps, and other types of results alongside their standard search results, has become increasingly common on major search engines. And optimizing video content to take advantage of blended search is by far the easiest way to get a first-page organic ranking on Google. Coming up tomorrow - blended search techniques for better results using video.